If you have a special upcoming event, the need to rent portable toilets must not be underestimated. Such facilities can make any outing both convenient and comfortable for guests. 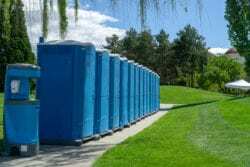 Even so, a lot of logistical planning is important because extreme weather conditions or even uneven grounds are known to make porta potties in Muskogee to tip over. We have set up portable toilets for thousands of clients in the past and our expertise in the trade allows us to give some proven tips for ensuring that the facility remains steady on the ground. First, we ensure that the ground is even. A surefire way of facing the risk of a porta potty tipping over is by setting it on a ditch or bump. Flat, paved surfaces are the best option because they ensure that the facility stays put even when it is in use. Another strategy we use is to make the facility lean against a sturdy structure. A building or even a brick wall would be perfect. 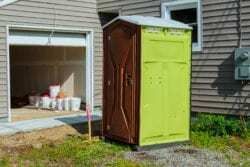 In case of unfavorable weather, the portable toilet will not wobble and fall over because it will have reliable support on at least one side. We may also decide to stake it down with the intentions of locking it in place. This specific task should be left to professionals because incorrect methods can be dangerous. Our team of trained specialists can lend a hand with this and ensure that you have a stable restroom experience all day, irrespective of the weather changes. 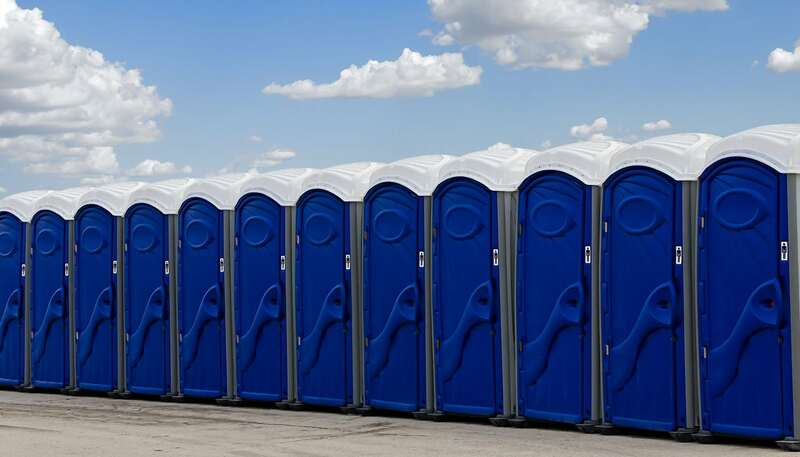 In case you are hosting a large event and you need at least five porta potties then you should line them up in a row. With this, we will ensure that each of the facilities touches the next. This will keep the restrooms put and mitigate their risk of moving from side to side. To be on the safe side, the restrooms on the ends will also need firm securing. Restroom arrangements should be the first thing on your mind when planning an event. If you are serving foods and drinks, then your guests will certainly want to use the lavatory from time to time. Portable toilets offer the best solutions, especially if your venue does not have adequate traditional toilets. Portable potties are mobile and this means that you can place as many as you want on your venue. This will ensure that your guests do not have to stand in long lines just to relieve themselves. In case the event is at your home, you can place several facilities in your backyard, reducing the foot traffic through your house interiors. We offer a wide variety of portable toilets that vary in color and size. You can even get the larger units that are ideal for the handicapped or those in wheelchairs. 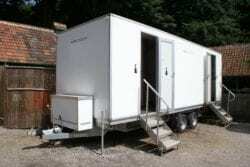 Mobile restroom trailers come with hand washing stations, AC and full body mirrors. Compared to traditional toilets that use a lot of water each time they are used, our toilets have waste storage and concentrated solution break down systems that requires very little or no water at all. 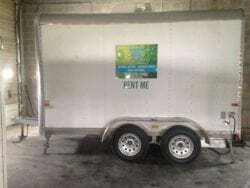 Renting mobile facilities for an event will help reduce your carbon footprint.